Brunch is the best meal of the day, hands down; don’t @ me! 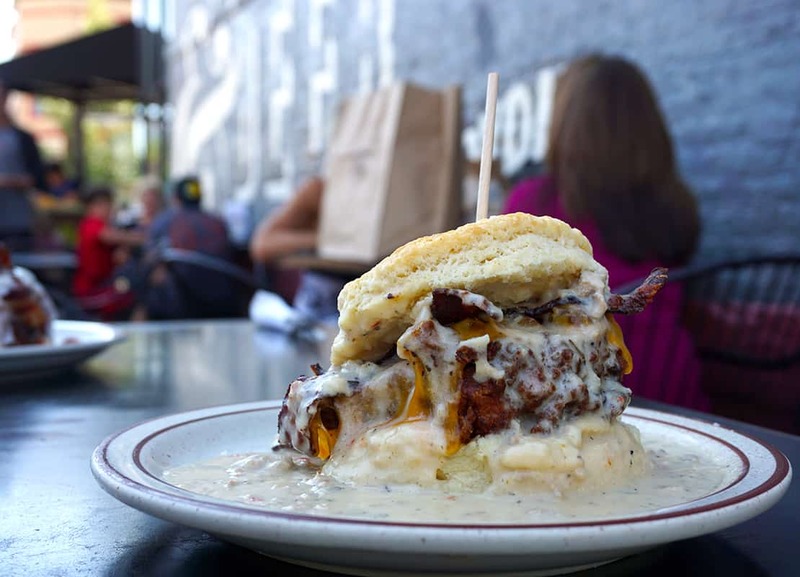 The Denver Biscuit Co. is the perfect place to get down on biscuits, bacon and booze; Guy Fieri agrees! It doesn’t matter which location you go to, you’re going to have to wait because it is just that good. 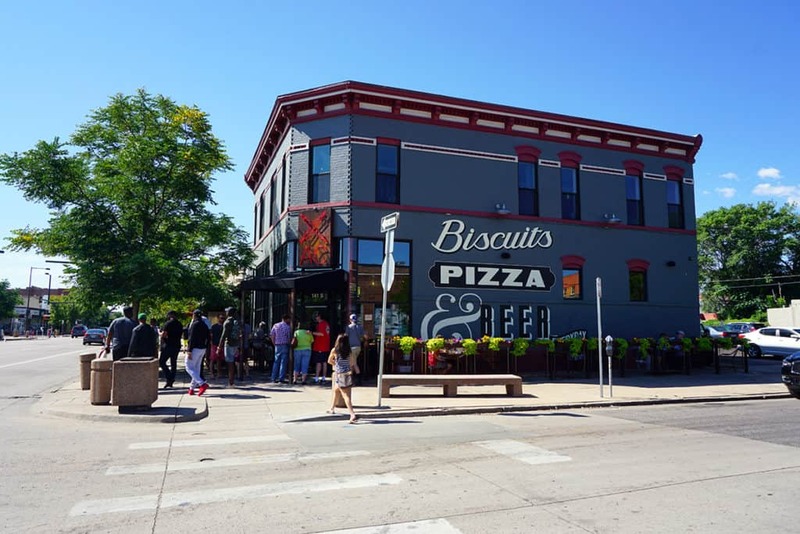 The lines have been forming since the Denver Biscuit Co. opened its doors in 2009. Oh, and wear your stretchy pants because you’ll have to be rolled out of this place. The southern gourmet biscuits are incredibly large; American sized portions of course. 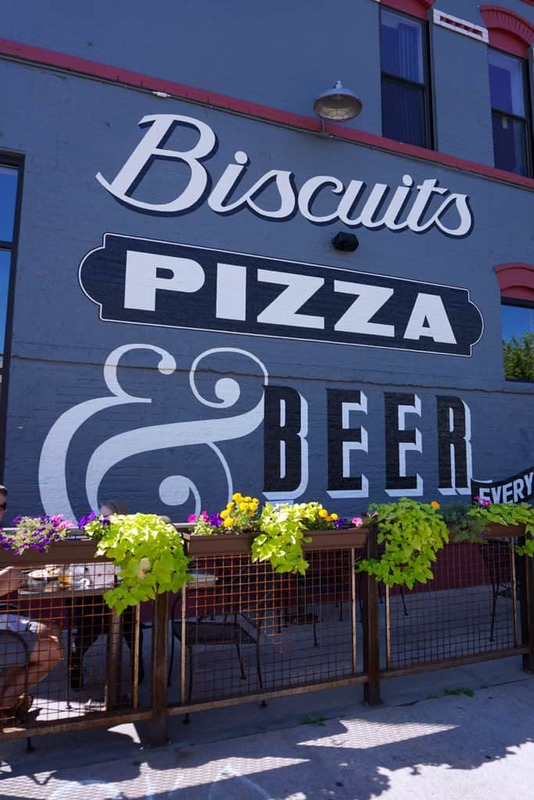 But, calories don’t count on the weekend, so eat the whole thing because biscuits are always better fresh. Anyone who told you otherwise doesn’t have a clue. 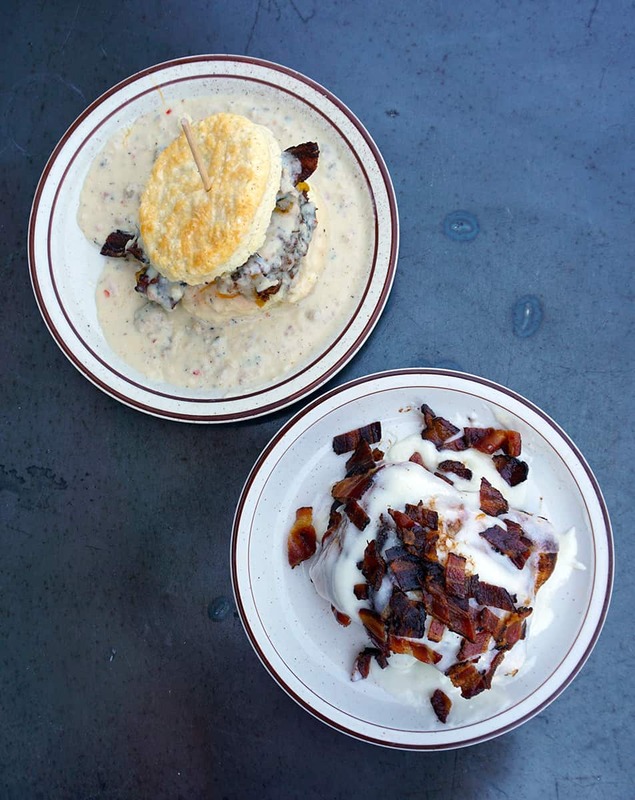 I’m not sure where to begin because the Denver Biscuit Co. is doing everything right. The biscuits are fresh and flaky, with the perfect ratio of crisp outside to soft and warm inside. If you’re a newbie to the Denver Biscuit Co., order The Franklin. It’s my favorite and obviously a great choice. 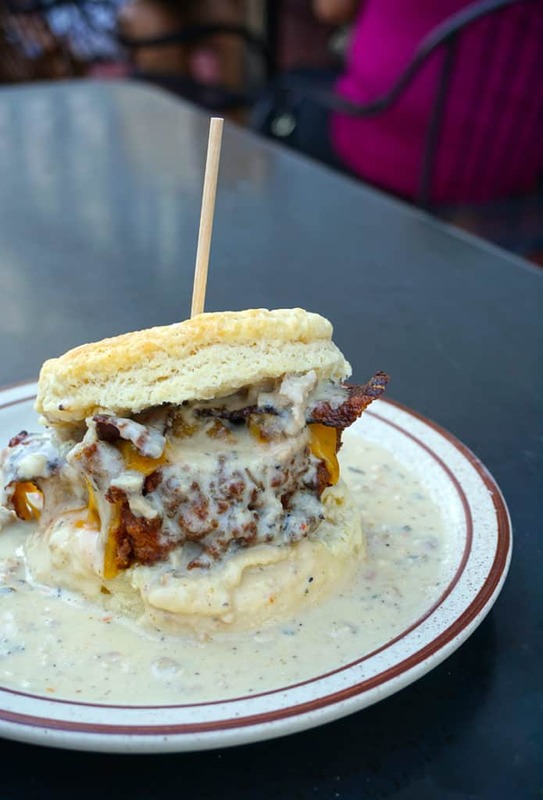 The Frankin biscuit sandwich comes served with buttermilk fried chicken, tender belly bacon, and cheddar cheese smothered in sausage or vegetarian mushroom gravy. I’m not much of a herbivore, so I opt for the sausage gravy. Seriously, just look at the pool of gravy! 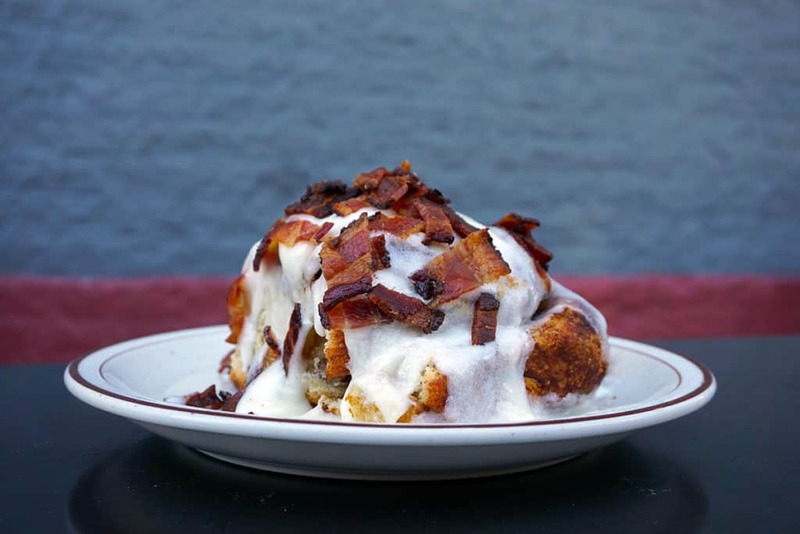 If you’re craving a little sweet though, the Denver Biscuit Co. has just what you need: The Giant Biscuit Cinnamon (optional: Topped with Bacon). 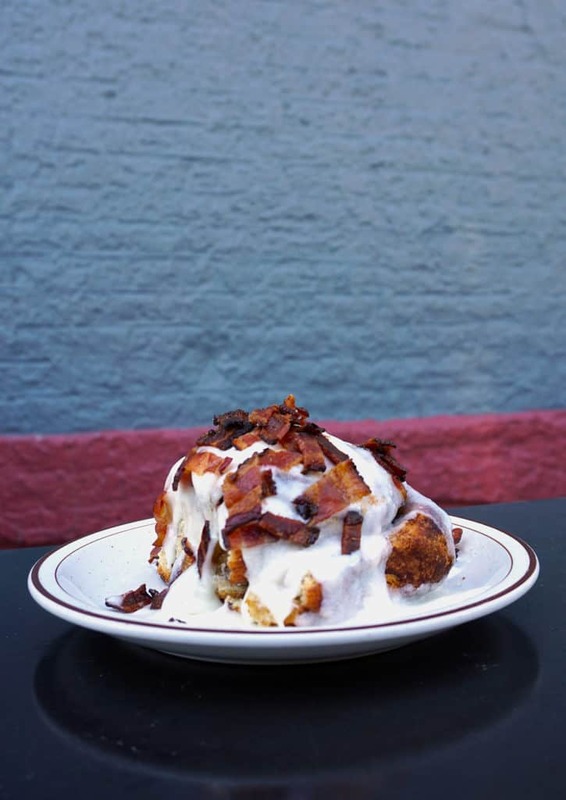 The Denver Biscuit Co. Cinnamon Roll is the largest cinnamon roll around town. Although bacon is extra, like guacamole at Chipotle, it is 100% worth it! 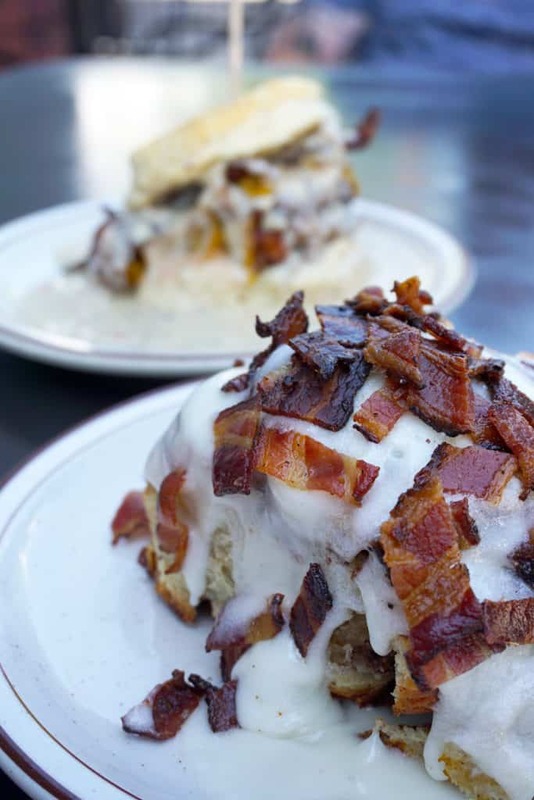 The saltiness of the bacon tones down the sweetness of the frosting. The best part is the warm and gooey inside; save that part for last. Do you see the parking meter in the right side of the photo? Most people don’t realize it is a spot! Keep your eyes peeled for it because it’s a prime spot and if you overeat, you’ll be wishing your car was parked there and not a few blocks away.